Lets go fishing in Onslow…. With Onslow’s balmy weather consistent all year round, a day on the water is always refreshing and exhilarating. We offer several options for fanatics of the sea, including fishing charters, snorkelling and plaka boat hire on the Mackerel Islands. 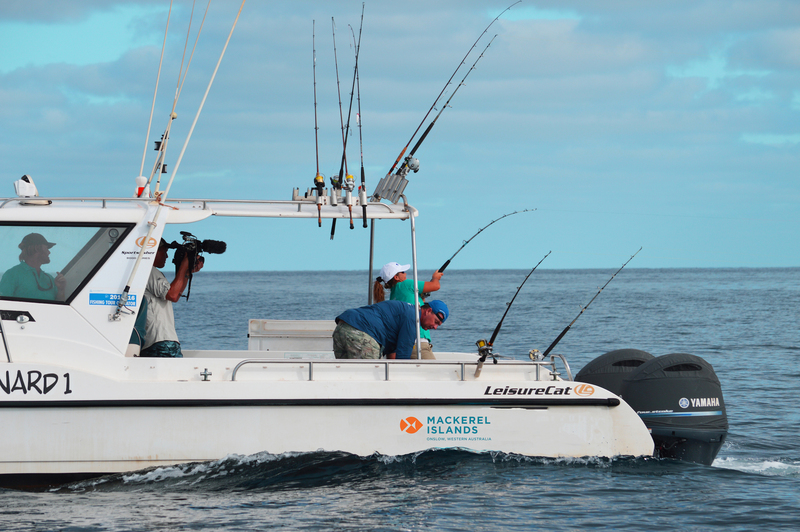 Tailored to suit your requirements you can choose to swim, fish and take in the amazing marine life that can be explored just offshore from Onslow. Sea snakes, dolphins, dugongs, humpback whales and an abundance of turtles are some just of the amazing life that can be seen from cruising the islands. The keen fisherman will swear they’re in heaven when they experience some of WA’s best fishing action. Hooking up to your first Giant Trevally or a huge Spanish Mackerel will make even the most experienced fisherman weak at the knees. Our charter boat, Thevenard One, offers a comfortable day at sea accommodating small groups of up to 8 which allows for the days activities to be flexible and personalised. Get a group together, work colleagues or friends and book your day out on the big blue. It’ll be something to add to your repertoire of travel tales in years to come. For reservations contact our Island team on (08) 9184 6444, email [email protected], or fill in our contact form.